"Serving the Greater New Orleans and surrounding areas since 1986"
"Rates start at $24.00 per night"
Click the link below for live webcams. 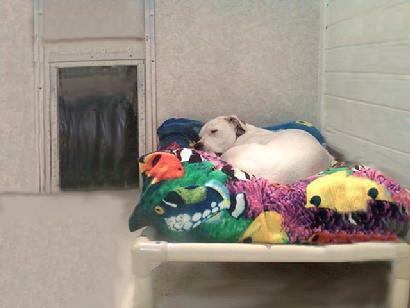 ← Click the blue box to hear what people are saying about JCM's Pet Boarding. outdoor section 24 hours a day. access into a private, 10,000 square foot play yard. $45.00 per night w/o dog door. $65.00 per night with dog door. 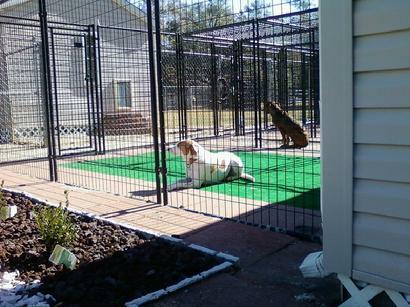 Social dogs can play and have fun day and evening in our full acre, triple fenced play yards. 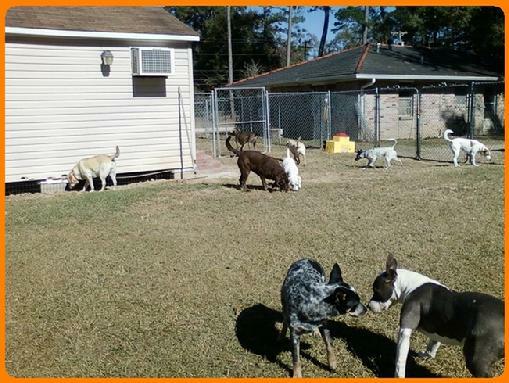 Unsocial dogs also have yard time in one of our ¼ acre yards, and the full acre when the group is not out. 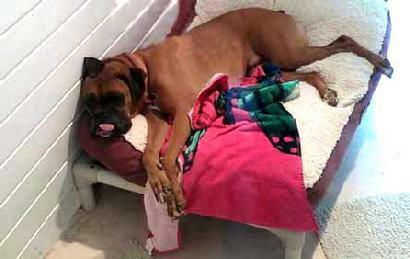 Daycare activities, playtime, treats, cuddles, and much more are all inclusive in the boarding fee. However, since we live on the property, your pet is still getting the highest quality of care. Note: Since this is a home based business, we ask that you respect our business hours for pick up or drop off. A large part of the work is done before and after business hours. You may call as often as you like to check on your pet. Messages are promptly returned. We ask that you do not call before 9:00 AM or after 7:00 PM. Phone calls may not be answered, or calls returned on Sunday or Major holidays. We accept cash, checks, credit cards, & money orders. No out of state checks. No post dated checks please. JCM's offers personalized care in a casual atmosphere with spacious, beautiful indoor / outdoor runs, and luxury suites, that are truly luxurious. Small play groups allow plenty of room for dogs to run and stretch their legs on an acre of real grass both day and evening. At JCM's we are best known for providing a calm, stable, healthy, chaos free environment where dogs can be 100% comfortable. There is no better, pet friendlier place on the Northshore or Southshore to board your dog, cat, or exotic. ....And we know all of our boarders by name. 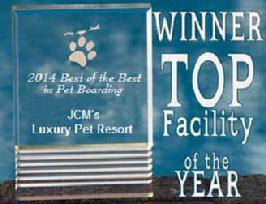 JCM's Pet Boarding is a beautiful facility both inside and out. 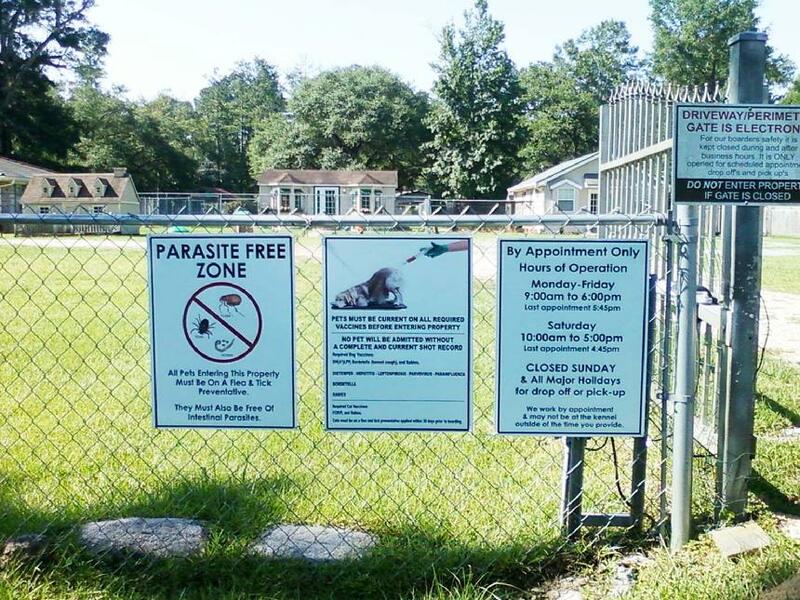 Our facility is odor free, parasite free, and stress free. Runs offer 24 Hour Indoor /Outdoor Access. Large, Clean, Dog Friendly Runs. Each dog has over 100 square feet of personal space at all times. Outdoor runs have covered tops for added safety & security. All yard fencing has a 3 foot deep chain wall. Over an acre sized play yards maintains Good Housebreaking Habits, and Decreases Stress and Anxiety. When dogs are out in the big play yard they can either engage in friendly group play, or enjoy a private yard. Dogs are not required to interact with each other during yard time. 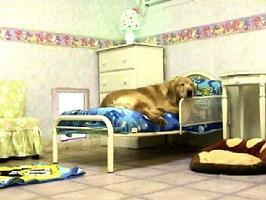 Owners have 24 hour access to view their pets while inside their room, and in the play yards. There is someone on the property tending to the pets at all times. • Personalized Care - we have only 14 indoor / outdoor runs and 3 suites for 100% one on one time. Our Facility Accommodates Pets That Are Not Spayed Or Neutered. 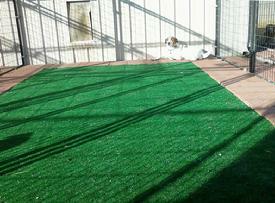 Pictures (right) are the indoor section of our 5'x6' indoor / outdoor runs - 110 square feet of personal space. If, like me, you are tired of your dog getting beat up at doggie daycare, and leaving your dog where he is just one face in a sea of hundreds, then don't go anywhere else but to JCM's. My dog gets personalized care there. He gets to play with a small group in a huge yard. When he's not romping, he is relaxing in his own private room with an attached courtyard. This really is the best place. 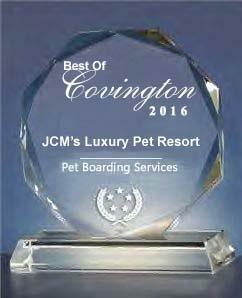 JCM's Pet Boarding Facility has been recognized as a 5 star establishment, and is featured on the cover of the prestigious "Kennel Beautiful" magazine. We want to thank all of our patrons, and their human counterparts. If you have an unruly or difficult dog, don't worry. JCM's has been the leaders in Professional Dog Obedience Training since 1979.